Saving Jackie K chronicles the bitter rivalry between JFK and Richard Nixon. Was losing the presidential election to Kennedy by a small margin enough to warrant an assassination plot? 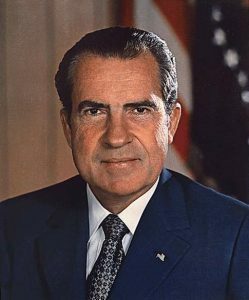 Born in 1916 in Yorba Linda, California, Richard Nixon grew up in a poor Quaker family, the second youngest of five boys. He survived the hardship of his youth to earn acceptance at prestigious Ivy League, Harvard—where JFK ultimately was schooled. But with both poverty and illness plaguing his siblings, Nixon ended up relegated to Whittier, the local California Quaker college instead. He went on to achieve a Law Degree from Duke University. 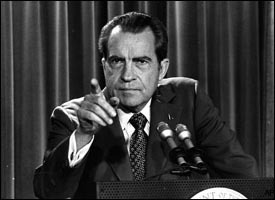 In his early political career, Nixon was elected first a US Representative, then a US Senator, from his home state of California. 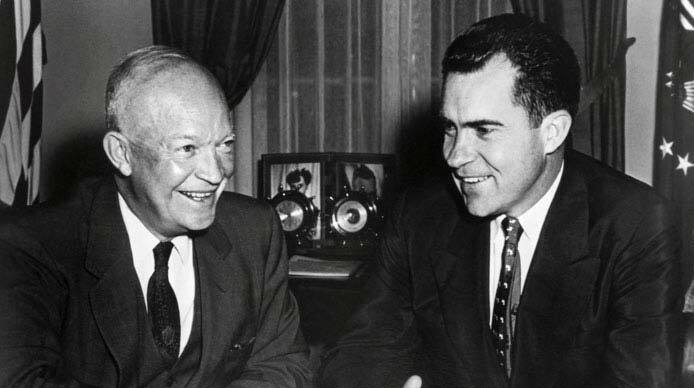 In 1952, presidential candidate Dwight Eisenhower chose Nixon as his running mate. 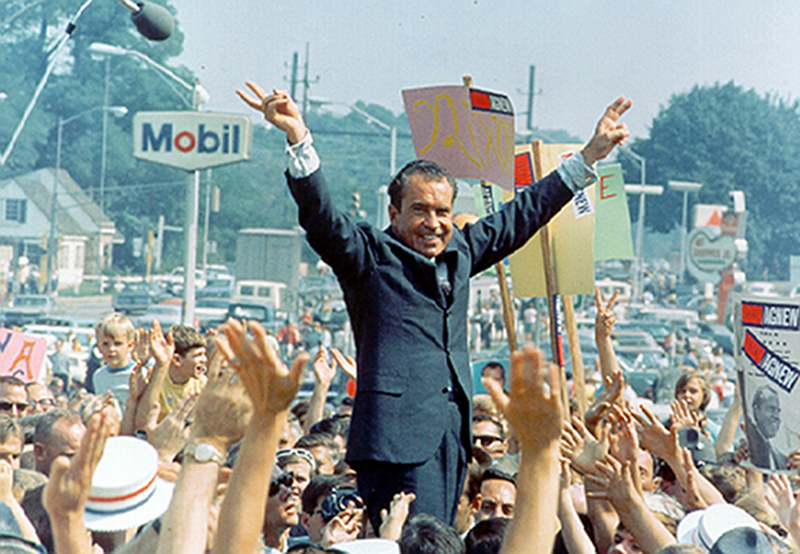 A young Republican staunchly opposed to communism, Nixon also hailed from one of the most populous states, thus positioning him as a potential vote-winner. After eight years of serving as VP alongside Ike, Nixon threw his hat into the 1960 presidential election. During the first-ever televised candidates’ debate, Nixon appeared tired and pale after recovering from a two-week hospital stay. He also refused to wear make-up. In contrast, JFK looked healthy and tan. 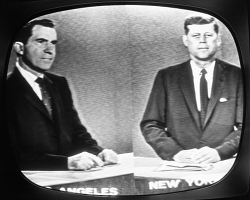 Subsequent polls revealed that listeners on the radio tended to declare Nixon the victor, while those who watched on TV favored Kennedy. 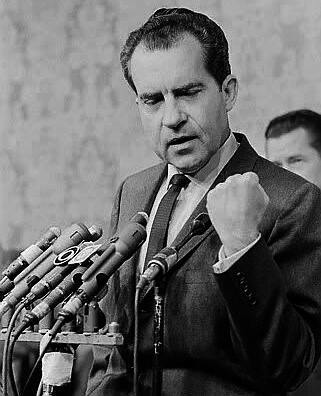 Nixon ultimately lost the election by one of the narrowest margins in history. The beaten politician subsequently joined the New York law firm of Nixon, Mudge, Rose, Guthrie & Alexander, located in Manhattan. His clients from Pepsi-Cola invited him to a reception in Dallas, on the eve before what would become JFK’s fatal motorcade. After attending the party, the next day Nixon boarded a plane at Love Field Airport in Dallas, around the same time Kennedy was landing in Air Force One. Nixon flew home to New York, to Idlewild Airport in Queens. The airport would later be renamed JFK in Kennedy’s honor. Nixon remarked that he learned of the president’s death while riding home in a cab from Idlewild Airport.